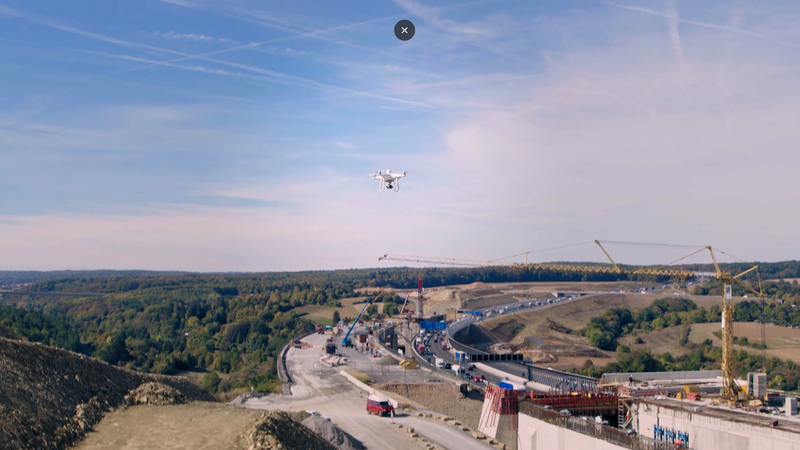 6 Benefits of Drone Use for Municipal Projects — Ruekert & Mielke, Inc. The rise in popularity of drones has opened the door to a variety of new opportunities for municipalities. Here are 6 ways that drone use can add value to your construction projects and save your team time and money. 2. Cost effective. Because drone surveying can be completed with such efficiency, municipalities can significantly save on cost. A project that saves time is a budget-friendly project! 3. Collect large amounts of data in a short amount of time. Drones allow your project team to collect millions of points, elevations, colors, and photos. This data can dramatically improve the accuracy and quality of important project deliverables like surveys, aerial images, and construction reports. 4. Adds value to your project. The large quantity of project data provided by drone images enables the project team to make difficult decisions quickly and accurately. For example, high quality drone photos provide municipalities with survey-grade, geo-referenced photos at a higher resolution than most online map databases. These images provide incredible project value for very little cost. 5. Survey unsafe or inaccessible areas. Because drones are unmanned, they allow project teams to gather data for areas that may have previously been difficult or even impossible for them to access with traditional surveying methods, like quarries, cliffs, and rugged terrain. 6. Capture data in real-time. Drones allow your project team to track site construction and improvements in real-time, making ongoing site assessment easy and efficient. For example, if there’s a major rain event, drone footage will help your project team make the best decisions on how to focus their time and give them the tools they need to take the necessary measures to deal with pooling and runoff. Again, this information can save your team time, energy, and money. R/M has the expertise and UAS (drone) capabilities to take your projects to the next level. To learn more, please check out our free seminar on Wednesday, April 24th or contact an expert today! Dan has over five years of experience and a diverse range of skills including civil site design, land surveying, and Unmanned Aircraft System (UAS) surveying/mapping. He is focused on developing new workflows utilizing UAS technology to add efficiency and value to complex projects, and he has overseen and/or conducted over 600 UAS operations (200 flight hours) across the country.